Lidl have submitted detailed plans to Greenwich Council to open a store in the town after leaving around decade ago. It was covered here a couple of days ago. 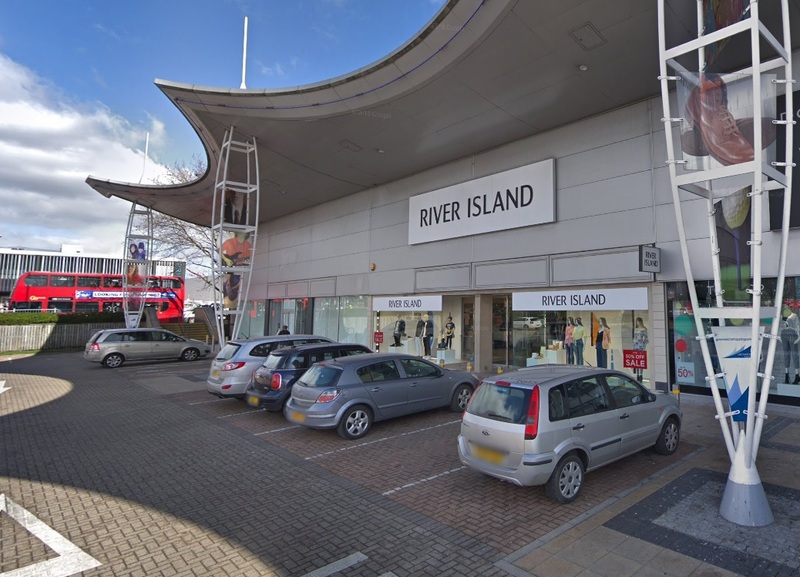 These detailed plans reveal more information including proposals to not only move into the former H&M but also the current River Island store next door. A parking survey taken last November showed the car park never more than 77% full though it is notorious for long waits to exit. There is no proposal to alter the car park entry and exit. 10% of trips will be new to the local network. The last post looked at the impact on Asda and whether the store has much of a future – particularly if plans to merge with Sainsburys are approved. Click here to view the planning documents. 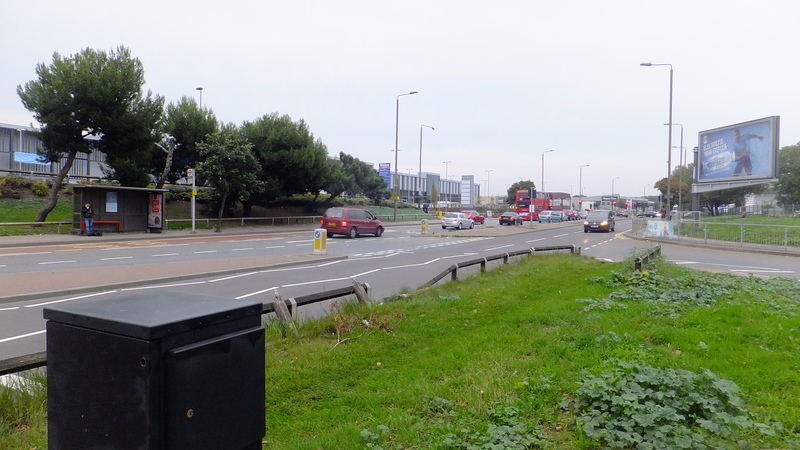 The 486/472 bus stop direction Charlton/Woolwich opposite this retail park/ Sainsbury’s (the location is OK direction North Greenwich….when you have nothing to carry!). There really needs to be one much nearer. It’s a long walk with bags of shopping which is a shame as the bus connections are very good. It’s especially bad for the elderly/disabled. Can you campaign on this? Wasn’t there a Council plan that zoned the Asda space as housing? Housing on the Asda site would not really be practical in the middle of a busy retail park with high levels of traffic coming and going. It would not be safe for residents especially those with children or mobility issues. Bugsby Way will also soon be served by route 180 when the route is re-routed to run to North Greenwich Station rather than Lewisham. 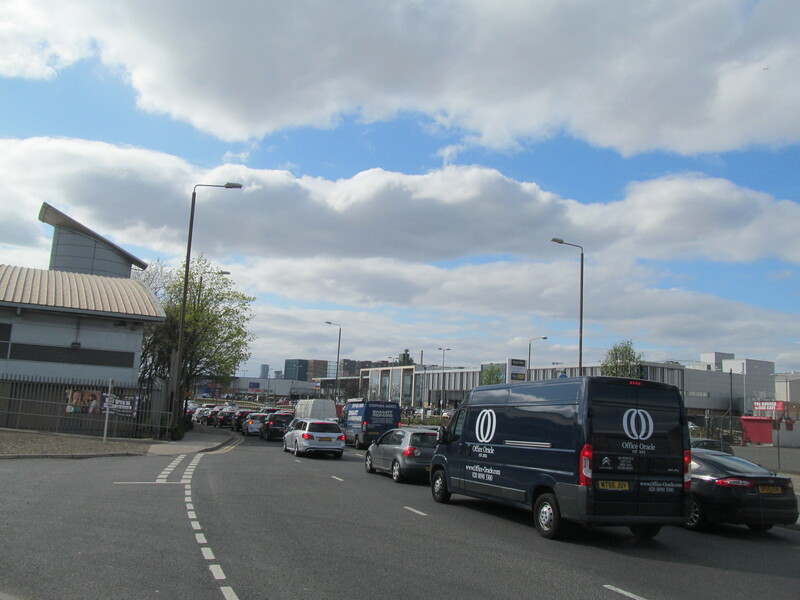 Needs an exit from the retail park onto Woolwich Road than having to go all the way round past the new ikea traffic back round to Woolwich Road.